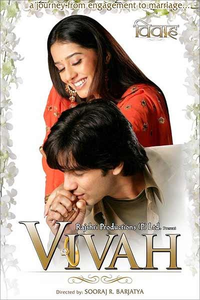 On the whole VIVAH has an ordinary/routine first half but the post-interval portions notably the climax compensate for the shortcomings. Indian weddings, as Sooraj Barjatya discovered long before Mira Nair, are irresistibly elaborate parties, grand shindigs mixing cocktails with culture, and rituals with remixes. The movie is very simple and clean without much of twists and turns. A 3 stars on 5 from Taran is that bad.. Vivah should turn out to be a good watch! Read the review. Sooraj Barjatya’s Hum Aapke Hain Koun (1994) had not just been a surprise hit, but a genuine trendsetter. The Great Indian Wedding is back. And it's packaged in wholesome courses. Lots of good people, lots of traditional bonding, elaborate ceremonies, feelgood romance, scenic Indian interiors and how can a wedding be complete without a fair amount of teary eyes. 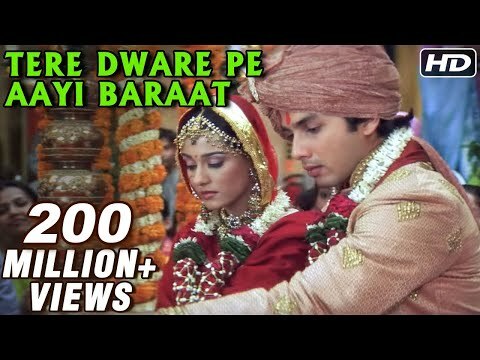 Sooraj Barjatya's 'Vivah' is an ideal recipe for diabetes with a sweet-tooth script and handle-with-soft-gloves treatment meted out to this journey from engagement to marriage. 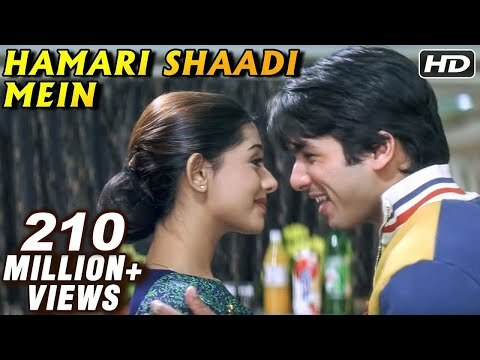 But the belief, sincerity and conviction that he displays in Indian traditions, and the nascent charm of lead-pair of Shahid Kapoor-Amrita Rao melts your heart and you end up humming Ravindra Jain's melody....Mujhe Haq Hai...With a smile. Mr Raja Sen your just too harsh! No stars at all.. hmm.. i think you should rather be reviewing Hollywood movies. Anyways here’s his review..